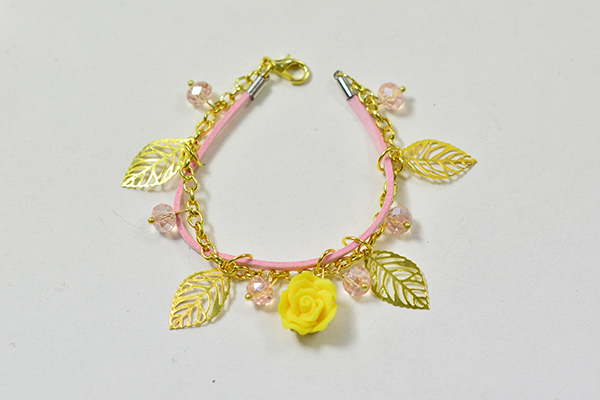 Summary: This piece of bracelet has a pink cord, a yellow rose decorated among golden leaves and pink glass beads,which is a perfect combination of colors. Wearing this bracelet will show your energetic youth. 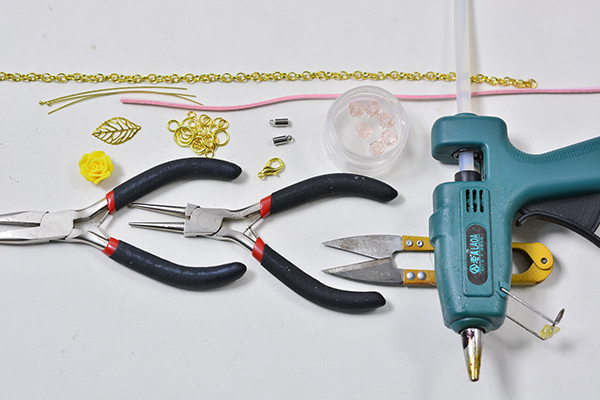 Still find a lovely and fashionable bracelet? 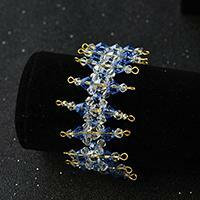 This delicate bracelet will satisfy you. It will bring the youth to your life. If you want to make one, follow me to check out the details. Wow, what a beautiful bracelet! 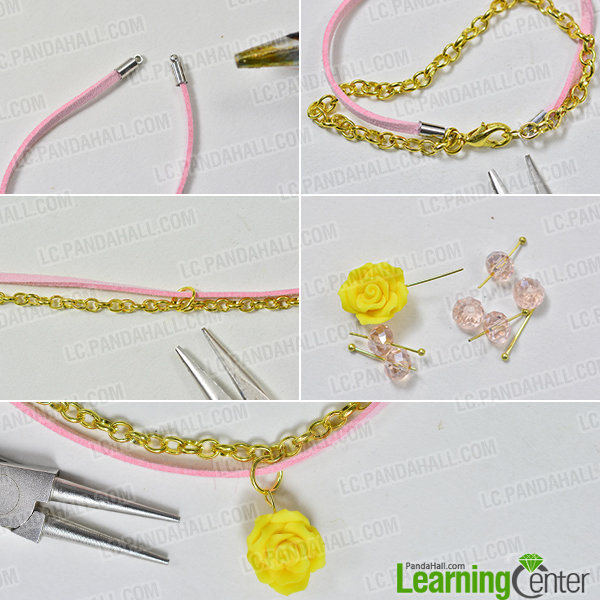 Now it is the spring, if you want to take a trip with your friends, and wears this delicate bracelet, it will be very nice on you!